Company Explosives Risk Managers LLC. Federal Aviation Administration (FAA) implemented an exemption process and regulation for commercial operators in late 2014, opening the sky for many UAV applications. The aim of these projects, surveys of a stockyard and a blasting operation in the states of Virginia and Ohio by the Explosives Risk Managers LLC (ERM), was to support blasting without putting people in danger. 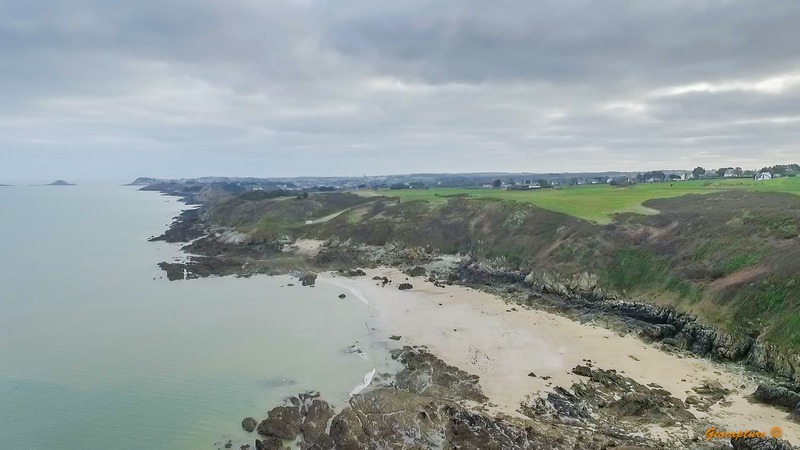 UAVs flying at low altitude can take images or videos with extremely high resolution and at any angle. UAVs can be applied to assist the blast-in-charge with post-blast inspections. During the blast cycle, using a UAV minimized the personnel risk and ensured the blast area was secure. Six ground control points were used to assure global accuracy of the survey and thus the precise measurement of the volume. 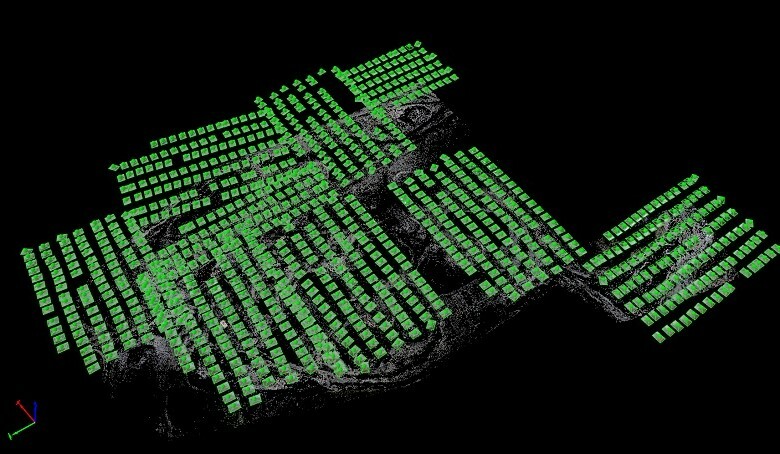 The stockpile volumes were accurately measured with a hundred-million-point point cloud generated. Models of before and after cut volumes could be compared to determine the volume excavated. Fill volumes are also monitored and kept track of for more efficient equipment use and to limit over-handling the excavated materials. The 3D model of a blast bench can be combined with data from a borehole tracking system to identify areas of weakness and over-confinement. The results and the spatial information of the scene were preserved for later analysis, engineering applications of potential post-accident comparisons, and historical records. 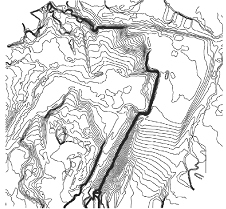 The topographic maps and the digital surface model (DSM) were used to make engineering decisions on design and quality control of the entire project, and the orthomosaic was used for determining the accuracy of borehole collar locations and measuring actual burdens and spacing for drilling applications. 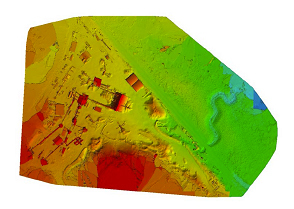 It was also imported into WipFrag (fragmentation analysis software) to determine size distribution of pile surfaces. 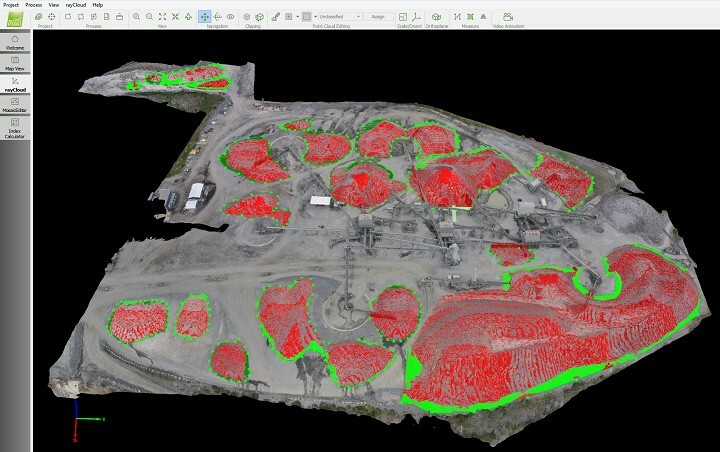 "More precise survey data for less cost"
UAVs and Pix4Dmapper can provide more precise survey data for less cost. Processing all the acquired images took only a few hours, generating a point cloud, 3D model, and orthomosaic of the entire region. 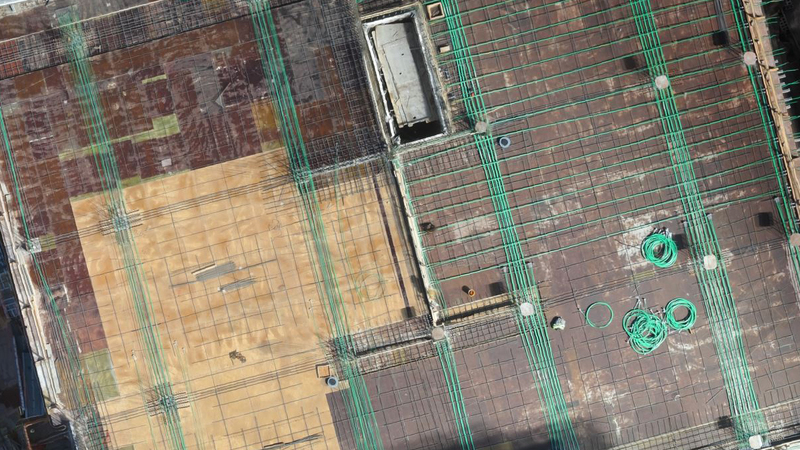 The high resolution 3D model made before blasting provided valuable blasting data, the images and videos captured on the day of blast helped clearance of the blast area, and after the muck was removed, the full cycle is completed by making another post-blast 3D model. 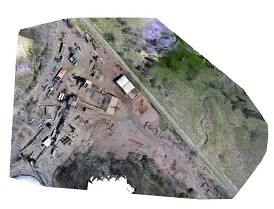 These procedures cost a lot less time and money than traditional aerial photogrammetry, yet provide much more detailed spatial information, and they are also less influenced by most weather conditions. 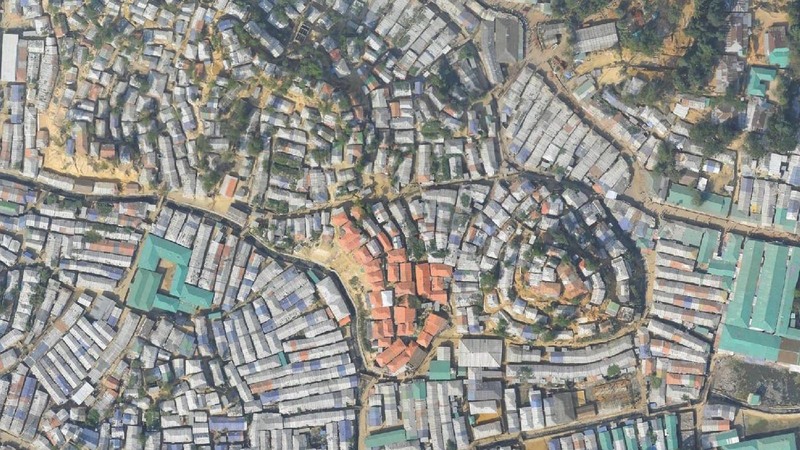 Conclusively, the new technology of UAV-image processing can perform entire tasks efficiently and in completely human-safe conditions.